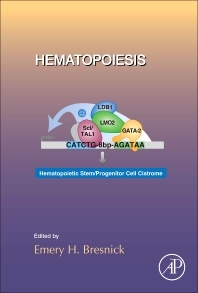 Hematopoiesis, the latest volume in the Current Topics in Developmental Biology, covers hematopoiesis, with contributions from an international board of authors. Its chapters provide a comprehensive set of reviews covering such topics as the regulation of blood stem cell development, epigenetic mechanisms controlling erythropoiesis, and regulatory RNAs/HSCs. Researchers in cell, developmental and molecular biology and in genetics.